It has been active in all directions for several months at the Louis Chevrolet Manufacture, based in Porrentruy, in the Swiss Jura, historical cradle of the Swiss watchmaking tradition. After having launched this March, the first watch only accessible in Bitcoin and design cleverly for cryptocurrency lovers, the watch company is preparing, for fans of Swiss Made watches, the release of a new collection. His will be done on September 28th, 2018. The accumulation of hundreds of hours of work; multiple pages crossed out, torn, recycled, drafts, thousands of cups of coffee, brainstorming sessions; will be unveiled on September 28th! 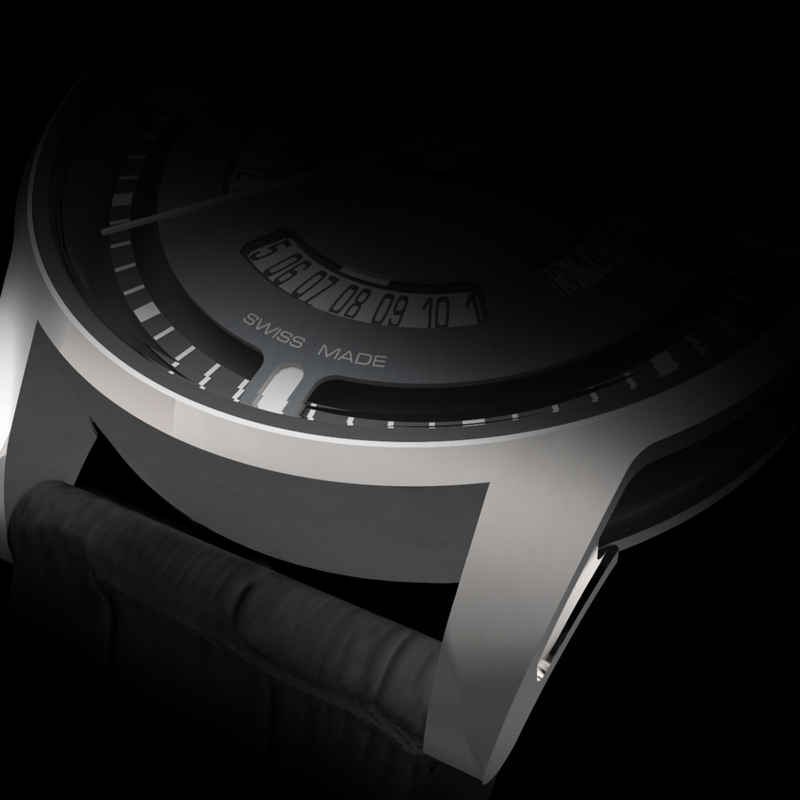 A new automatic timepiece, at a very attractive price: 590 Swiss Francs (around USD 590 or EUR 499). And guess how? Via Kickstarter! "Kickstarter is the natural continuation of our strategy, initiated a few years ago, with e-commerce as its sole sale channel. Kickstarter is not just for new brands: the platform allows us to test a collection, to increase our reputation internationally, to get even closer to our customers, to receive their opinions, to take them in a challenge, to make them discover the stages of manufacture of our watch components, ... More than a crowdfunding site, we integrate Kickstarter as a real social network "says André Saunier, CEO of the Louis Chevrolet brand. Kickstarter, for the less informed, is a crowdfunding platform. Kickstarter gives Internet users the opportunity to finance projects in a wide variety of fields such as films, musical creations and design products. Many watches have been launched since 2009 via this service. Previously used by neo-designers, established brands are now using it to get closer to their consumers, with, for them, a significant reward: a financial advantage on the proposed product. For this operation, a total of 1'494 pieces (3 versions of 498 pieces each) will be offered at 590 Swiss francs (590 $ - 499 €), in limited edition, all numbered and created in the workshops of the Swiss Jura manufacture. "Like our other collections, our new line will be Swiss Made, and our watch will feature the elements that differentiate our brand from all others. We are preparing this new collection, with a very innovative design, and are looking for forward to be on the D-Day” adds Florent Bregnard, Sales and Customer Service Manager. Without a doubt, the brand can count on the support of members of the Louis Chevrolet Club and its thousands of followers, which interact on the various social media platforms daily with the Swiss factory. Louis Chevrolet is inviting you to follow our live social media event on September 28th (20.00 CET) that will mark the launch of its new limited edition, at a very attractive price for a Swiss made automatic watch.